New Delhi, Nov 23: The incident of killing of an American citizen John Allen Chau in last week in the North Sentinel Island in Andaman and Nicobar Islands has got a new twist with the exposure of religious conversion angle. John Allen Chau was killed by the tribals inhabiting the North Sentinel Island. This tribe prefers to live in their territory and do not mix or allow any outsider in their midst. They even attacked the helicopter that went to search the body of slain American citizen forcing them to return to the base bare hand. According to a report in The Hindu, this American national tried to enter the North Sentinel Island in the Andaman and killed due to “misplaced adventure” in the highly-restricted area. This was his fifth visit to Andaman and Nicobar Islands and he had come on a tourist visa. He was killed with bows and arrows, police said. 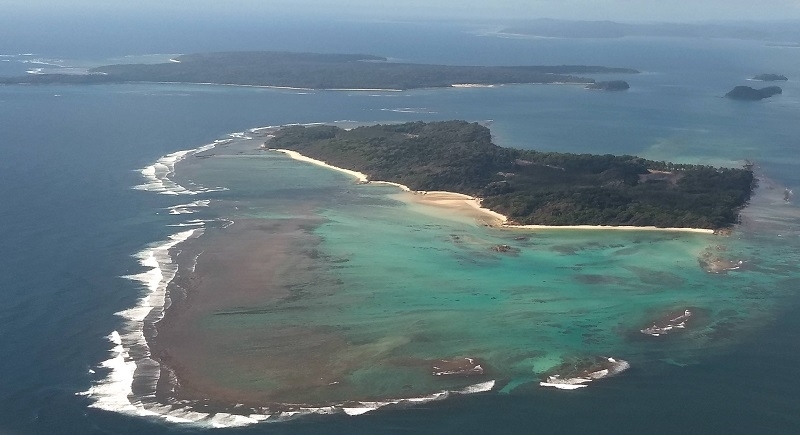 John Allen Chau (27) had not informed the authorities of his visit to the Sentinel Island; the inhabitants have not faced incursions and remain hostile to outsiders. Police got to know about the killing from the American Consulate in Chennai which forwarded an email sent by Chau’s mother about his visit to the island and “the attack by tribesmen”. Chau had hired a fishing dinghy from the Chidiyatapu area and on November 16 reached close to the island, from where he travelled in his own canoe. He had made a failed attempt to reach the island on November 14 as well, police said. The police had arrested seven fishermen on the complaint of the US Officials and investing them. 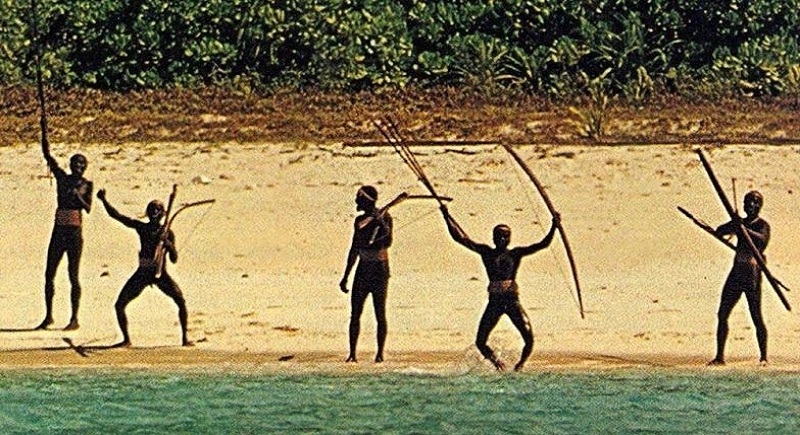 It is perceived that they were the same persons who took Chau to the Sentinel Island. The fishermen told the police that Chau was trying to reach the island on November 14 but could not go. After that he tried again on November 16 and soon after he landed on the island, the tribals attacked him with bows and arrows. The fishermen said that the attack was prompted by alleged interference in their personal matters. Chua was terrified and tried to save him but in vain. However, the tribesmen did not attack the fishermen. The fishermen said that the tribals tied the body of Chau to a rope and carried to the sea shore where they buried it under the sand. They said they were afraid of seeing this happen before them and fled from the spot. Next day when they reached the Sentinel Island, they found the body of Chau lying at the sea shore, but could not get its possession in spite of their efforts. They reached Port Blair and informed Chau’s friend and local pastor Alex who informed the relatives of Chau living in the US. They contacted the US Embassy in Delhi and sought help. Alex said that Chau, who was also a preacher and a missionary, had been to Andaman and Nicobar Islands many times in the last many years. He confirmed that Chau wanted to convert the Sentinelese tribals to Christianity. But the statement released on Instagram by the family of Chau said that he was trying to reach out to the members of the Sentinelese Tribe. “To others he was a Christian missionary, a wilderness EMT, an international soccer coach, and a mountaineer. He loved God life, helping those in need, and had nothing but love for the Sentinelese people,” the statement said. The National Commission of Scheduled Tribes termed the incident “unfortunate” and sought a report from the Home Ministry and the Andaman and Nicobar administration. The North Sentinel Island is one amongst the 29 islands in the Andaman and Nicobar and the outsiders are not allowed to visit this island to save the inhabitants of this island from virus threats. Even during the 2004 Tsunami, these people did not allow the rescue naval chopper to their area and forced it to go back. How this American Chau could go there? And for what purpose? The media reported this reported this incident as ‘death of an US tourist’. But the truth about his being a missionary and that he had gone there to convert those people to Christianity was exposed by ‘Al Jazira’ television news channel. They gave the news with a caption: ‘American missionary killed by Andaman tribe on verge of extinction’. Any foreigner who is interested to visit the island is required to take permission from the forest department and the administration of the island. The Protection of Aboriginal People Act and the Forest Act offer adequate protection to the island and its people. And Chau did not take permission from anyone, a senior Home Ministry official said. If this is true, then it becomes all the more serious matter from the national security point of view. What was the NIA, IB, etc. agencies were doing? Why they are not alert enough at least in the times of this BJP government? How the missionaries could dare to carry one their evangelical agenda so openly and under the nose of the government? John Chau’s death is the most unfortunate incident. But had he been alive, he would have continued to visit this island and carried on his evangelical mission which would have posed a threat to the security of the country in future. It shows that the Christian missionaries have not given up their evangelical agenda of converting people, destroying their cultures and traditions and religious practices and for that they even do not care for their own safety. It is high time for the government to wake up to this reality and take suitable steps to put an end to this agenda to save the tribesmen from this invading evangelists in the garb of tourists or social workers.